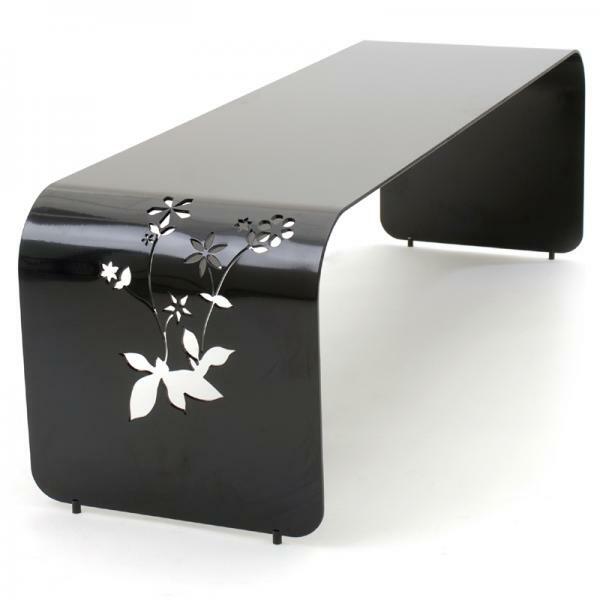 With a touch of nature in the modern world this bench from the Botanist series features seductive botanical graphics cut into sleek metal forms. The combination of graphics and minimal design makes this modern bench a treasured piece. The modern bench is part of the Botanist series. This beautiful series consists of pieces which can be mixed and matched easily to coordinate with a variety of environments. 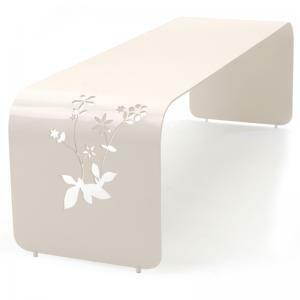 The bench combines the precision of minimal design with the beauty and feminine touch of nature. 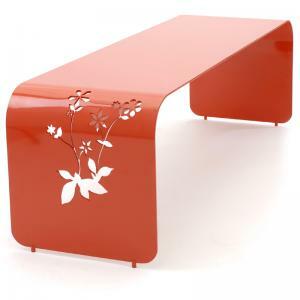 The Botanist modern bench is available in four powder-coated colors. It is also available in real wood veneers - see other web page. The graphics are available in the powder-coated pieces only. There is also a coffee table and side table available in this series as well - see those webpages. Nest the side table over the bench or coffee table - like the picture above - and make a stunning statement! The powder-coated pieces are ready for outdoor use they employ industrial grade enamels and aluminum, which naturally resist corrosion, while the wood veneers bring the outdoors in. 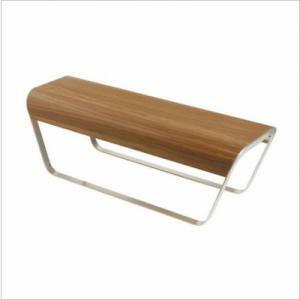 The Botanist modern bench is created from quarter inch aluminum that is cut, formed, and welded. The botanicals are cut with a precise water jet process, leaving the edges crisp and beautiful. The forms are then powder-coated in four beautiful colors. 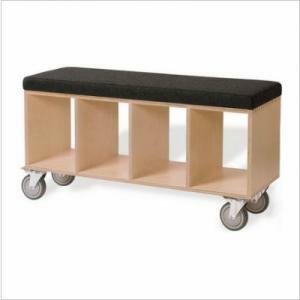 Aluminum makes the products light and easy to move without sacrificing durability. 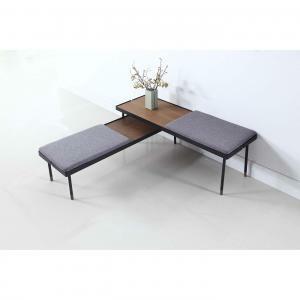 Receive this modern bench in 1 to 3 weeks!